If Artificial Intelligence (AI) technology is as sophisticated as they say, Porter Pioneers’ launch could leave agents kicking their feet. 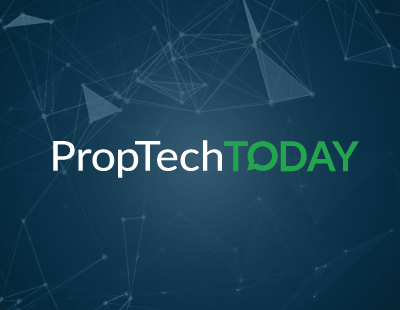 Those of you who receive my Sunday PropTech Review may have caught this story about AI-driven property management platform, Ask Porter, and its imminent launch of Porter Pioneers, a programme that will ‘help automate the workflow of lettings agents and other firms in the sector’. 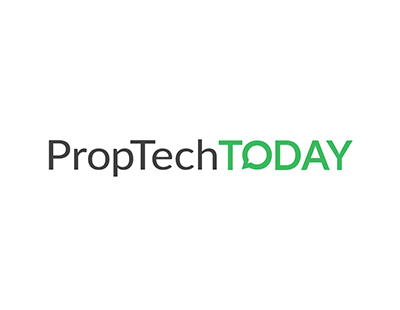 The new programme will use Google’s home assistant voice technology (Google recently invested in Ask Porter) to help agents complete tasks such as arrange viewings and vetting tenants. Porter Pioneers is launching with 15 firms in February. Ask Porter says it wants this new technology to become ‘as indispensable as the portals’, so my question is, if its wish comes true, what happens to agents? If everything is automated, what will they need to do aside from take care of the keys and open doors? In theory, virtual assistants could arrive overnight. The agents at these 15 initial firms, for example, could arrive one morning to find the lion’s share of their daily work being handled by a computer programme. Arranging viewings, compiling contracts, overseeing maintenance, completing background checks; all of this will suddenly be automated. Ask Porter states that the participating firms will be provided with 20 hours of meetings and calls over the first two months in order to learn exactly what each firm or branch requires from an AI assistant. They will then tailor-make an AI platform for each of them. In many ways, this could be the strangest kind of redundancy notice agents have ever received. The question, however, is can AI really learn how to do an agent’s job in just 20 hours? I’m not entirely convinced. I do like the idea of AI assistants due mainly to the power they offer the customer and the advantages they offer agents to get more done in less time - that’s why I’m a very small shareholder in HyStreet. Still, we do have to acknowledge that if the AI technology is anywhere near as sophisticated as is being promised, the agent role is set to change dramatically. If so, what’s your plan? What are you good at? If I were still an agent, I’d have a problem. Back in my Foxtons days, my strength was that I was the most organised negotiator out there, I’m convinced of it. I was totally on top of everything, I made a point of it and it served me well. Today, however, that wouldn’t help me - no human can ever be more organised than a computer, at least not until all these PropTech platforms are uploaded to the microchips in our heads. If the agent’s role is reduced to opening doors, will you be satisfied with that? I don’t think I would have been. In the face of a potential AI takeover, it’s time to think about what you’re good at. More specifically, what can you do that machines simply cannot. We all accept that property is still a people industry and will continue to be for as long as humans trust fellow humans over machines. Worth remembering, too, that much of the agent role is sales - the gentle art of affirmation and persuasion. As far as I know, machines can’t do that yet, so is that what agents need to start focusing on, proving that customers are going to be far less decisive without the reassurances of professional human guidance? Because when such assistants make headway in the sales market, this could lead to increased fall through rates, delayed processes, and disgruntled sellers. Will this be where the agent steps in? Even if so, that still doesn’t account for the majority of the working day. I’m thinking practically now, what will the agent fill their day with? There are rarely enough ‘super-hot’ leads, viewings, etc. to fill a day, therefore redundancies are inevitable, right? With much of the admin work covered by AI, branches aren’t going to need nearly as many agents or back office staff. I know this is a conversation which has been happening for years already, but Ask Porter appears to be making the first true step into the UK market. If it proves its worth with 15 trial firms, it won’t be long until it spreads. And, as I’ve said, it can literally happen overnight, or 20 hours at most. This isn’t a rhetorical question, I genuinely want to hear your thoughts. What do agents do now? Compared to this potential AI rollout, the disruption caused by online firms and portals might look like child’s play. With Google on board, you know Ask Porter isn’t messing around here, it’s launching now because it’s confident in what it has created. What are your thoughts? Will agents be relegated to glorified guardians of the house key, or is there another more progressive option out there? Appreciate the Michael. Something every agent should be doing in my view......if they are not they may be left behind. Fascinating developments however personally feel there is a long, long way to go until AI is rich enough to cover all variables. Factor in the (seemingly) ever-changing regs and I think AI will be on the back foot for quite a while yet. The question is what will any of us do (not just agents) when AI does reach a level to automate so many jobs across all sectors? Off-the-shelf products offer little basic automation let alone AI. Nothing on the current horizon will “take over from agents”. Every move is slightly different. AI is only capable of recognising patterns, not emotions, and moving is an emotionally-driven process. Larger corporate agents may find value in basic processing of certain tasks using AI, but I predict the unintended consequence of using AI will be to give movers the same unsatisfactory experience they feel they get from offshore call centres, ie dealing with someone, or something in this case, that doesn’t actually listen and understand but just processes them like a sausage. It’s what makes corporate agency ever weaker: less and less personal interaction to cut costs. The overall uptake and quality of tech in the residential industry is so low, the CRMs are so old, the chances of actual AI (let’s remember that Artificial Intelligence refers to self-learning tech, not just automated bots running a script using search results) being used in a widespread way are very low in the foreseeable future. And let’s not get too excited about Google getting involved. So far their forays into property haven’t gone well. Remember Google Base? Agents help movers by getting to know their personal circumstances and advising appropriately. It’s as personal a service as getting a massage. Who would want a massage from an AI bot? !